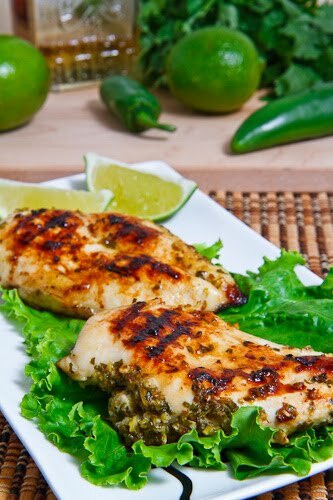 Tequila and lime chicken is super quick and easy way to cook up some chicken that is particularly nice in the summer when you can make it on the grill. 1. Puree the tequila, lime juice, oil, lime zest, jalapeno, garlic, cilantro, cumin, salt and pepper in a food processor. 2. Place both the chicken and the marinade in a freezer bag and marinate overnight. 3. Grill the chicken until cooked, about 5-7 minutes per side.